Nytraguard® SkyBlue is a lightweight, high performance nitrile glove that is the perfect 'all-round' glove. Ideal for both clinical and general tasks, it offers high comfort, stretch and dexterity without compromising on strength and durability. Specially developed for cleansing all areas of the body. Extremely effective – these wipes loosen, lift, and lock contamination into the material. The wipes feature a high specification lotion made with premium quality ingredients, including: Aloe Vera, Witch Hazel, Chamomile, and Lavender; plus Panthenol and Betaine for conditioning the skin. These ingredients allow the wipes to calm, soothe, condition, and moisturise the skin. Suitable for all over body cleansing, including intimate areas. Suitable for after toilet personal cleansing. Gentle, but effective, pH balanced lotion - suitable for all skin types and ages. Readiwipes® patient wipes are a high performance wipe using a heavyweight polypropylene based material with a high cotton and viscose content for strength and extra absorbency. It has a high degree of opacity and whiteness which means it can’t be seen through. 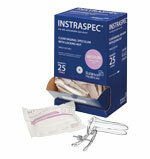 This wipe is used in high volumes by the NHS for patient cleansing and continence care. The combination of softness, strength, opacity and absorbency and the fact that it can be used wet or dry means that this product is ideal for personal hygiene and continence care particularly when dealing with compromised skin. Because of the thick absorbent material, this wipe is ideal for use wet as a flannel or for drying after cleansing, as well as soil removal and spill mopping. 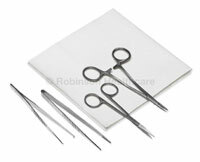 Also widely used in care and nursing homes and hospitals. Dental Rolls are designed for mouth packing and moisture control during dental procedures. Manufactured in compliance to the European Pharmacopoeia using 100% high quality absorbent cotton.